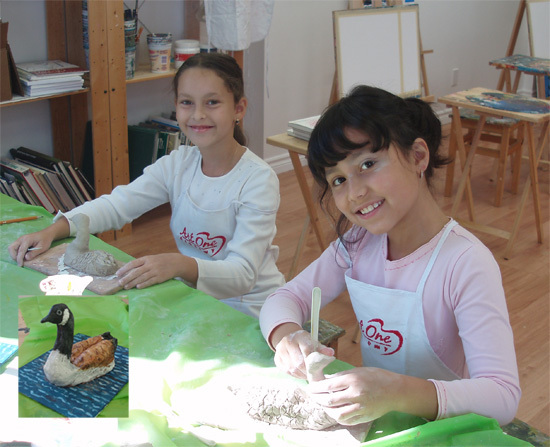 It’s very easy to work with soft clay to make a face, a bird, or a bowl. Our art classes can’t be complete without a sculpture project. 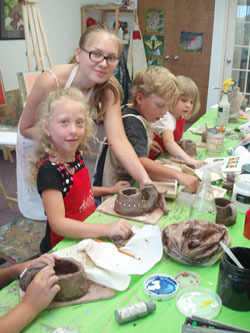 There are so many different shapes and colors and textures that are possible with clay. Clay is soft and cool to the touch, and easily sculpted and manipulated into many three dimensional forms.